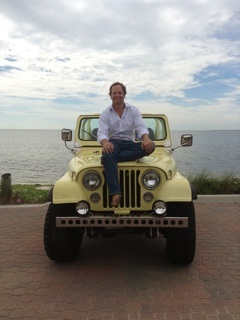 Tons of Fun Tours and Rentals is Miami’s only high end private Tour Company and its #1 Jeep rental specialist. In 2013, Tons of Fun Tours and Rentals came to life in Miami, FL with the goal of providing people a fun way to experience the incredible sights of Miami, The Everglades, and the Florida Keys. We are a family owned and operated business and we care a great deal about the kind of customer service experience you have with us. The owner likes to say, “Starting this business just made sense. Our model is pretty simple really. We give folks the ability to rent a really fun Convertible Jeep Wrangler while they are in South Florida and we offer customizable private Tours of Miami, The Florida Everglades, and the Florida Keys. Before us, the only way to take a tour in Miami was in a bus or a van, and no one was renting convertible Jeeps. My wife and I started this company to offer better, more enjoyable alternatives to run of the mill car rentals and tours. We differentiate ourselves from many of our competitors by focusing on conducting business in a fair and honest way and providing top tier travel experiences”. What else should you know about Tons of Fun Tours and Rentals? We appreciate the opportunity to be a part of your vacation or trip, and our team works hard to make your dealings with us stress free and easy. Our culture and the way in which we treat everyone we come into contact with is very important to us. We will be a warm welcome to South Florida and a business you enjoy working with. Everyone that works for Tons of Fun is genuinely kind and friendly. You are going to like our people as much as you like our Jeeps!